South Africa's national broadcaster SABC has brought in a new quota system, requiring 90% of the music played on its 18 radio stations to be homegrown. There will be a special focus on jazz, kwaito (local house-style dance music), and gospel music, SABC says. "We believe that is important for the people of South Africa to listen to the music that is produced for them by the musicians in South Africa," SABC spokesman Kaizer Kganyago told the BBC, explaining the decision. "Today I am proud to be South African. This man Hlaudi made me share a tear for the first time in many years... Freedom at last!" 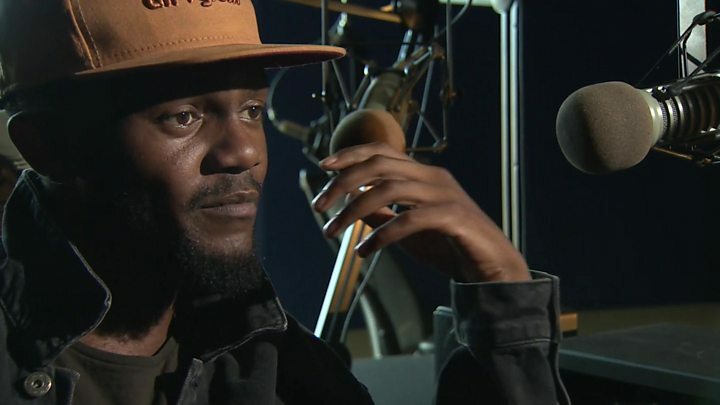 Local hip-hop star Slikour described it as the music industry's version of "Nelson Mandela coming out of jail". Many South Africans have taken to social media to celebrate the announcement, saying it will help to showcase the country's musical diversity. SABC, which has about 30 million listeners a week to its radio stations, says the decision comes after extensive consultations with those involved in the country's music industry. Stations here have been criticised in the past for playing mostly Western music and not supporting local artists. Although this is just for the next three months - subject to whether the listeners want it to be a permanent move, industry insiders are hoping that it will help boost the profiles of local artists. South African musicians often perform with musicians from other parts of the continent, so this will be a chance for those collaborations to be heard at home. The new playlists will include music in a number of the country's 11 languages and various genres. It's great news for local artists, who stand to profit from a boost in sales of their music. And for many listeners too, the decision seems to have struck the right note.